This tutorial is also available in step-by-step notebook version on github. Please try it out! Writing backprop is often the most tedious and error prone part of a deep net implementation. In fact, the feature of autograd has wide applications and goes beyond the domain of deep learning. MinPy’s autograd applies to any NumPy code that is imperatively programmed. Moreover, it is seemlessly integrated with MXNet’s symbolic program (see for example). By using MXNet’s execution engine, all operations can be executed in GPU if available. Now we want to get its derivative. To do so, simply import grad from minpy.core. Now import matplotlib to visualize the derivatives. # plt.plot only takes ndarray as input. Explicitly convert MinPy Array into ndarray. We get their gradients by specifying their argument position. grad_array, grad_array, and grad_array are gradients of argument a, b, and c.
The following section will introduce a more comprehensive example on matrix calculus. Since in world of machine learning we optimize a scalar loss, Autograd is particular useful to obtain the gradient of input parameters for next updates. For example, we define an affine layer, relu layer, and a softmax loss. Before dive into this section, please see Logistic regression tutorial first for a simpler application of Autograd. Computes the forward pass for an affine (fully-connected) layer. then transform it to an output vector of dimension M.
Computes the forward pass for a layer of rectified linear units (ReLUs). Computes the loss for softmax classification. Then we use these layers to define a single layer fully-connected network, with a softmax output. # First affine layer (fully-connected layer). # Compute softmax loss between the output and the label. Here is the net and data. 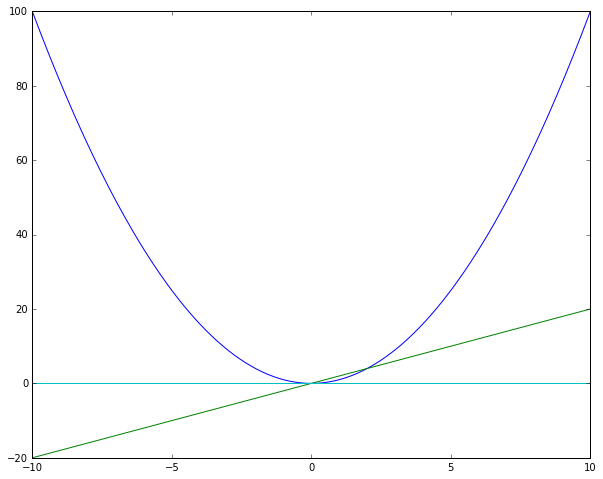 Then we can get gradient by simply call gradient(X, y). Ok, Ok, I know you are not interested in x’s gradient. I will show you how to get the gradient of the parameters. First, you need to define a function with the parameters as the arguments for Autograd to process. Autograd can only track the gradients in the parameter list. Yes, you just need to provide an entry in the new function’s parameter list for w and b and that’s it! Now let’s try to derive its gradient. # 0, 1 are the positions of w, b in the paramter list. Note that you need to specify a list for the parameters that you want their gradients. With d_w and d_b in hand, training net is just a piece of cake. grad_array and result are result of gradient and forward pass respectively. © Copyright 2016, DMLC. Revision 2e44927a.